While BlackBerry 10 devices already have a huge selection of apps from which to choose, there may be more you want that aren't available in BlackBerry World. Thankfully on BlackBerry 10 devices you can install Android applications without too much effort. The process, known as sideloading, allows you to transfer converted applications in the BlackBerry format (BAR files) to your device. 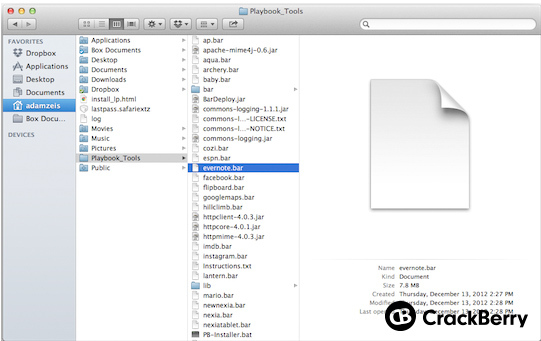 While this is one way to sideload, you can also get it done easier with a simple Google Chrome extension. Keep in mind it's not foolproof however -- some apps work, some don't. There are plenty of free Android apps around the web that have already been converted and are ready to go so you shouldn't have much trouble tracking them down. You can do this process both from a Windows PC (covered in this post) or a Mac (which we'll talk about here). So if you think you're ready to dive in, keep reading and see just how it's done. 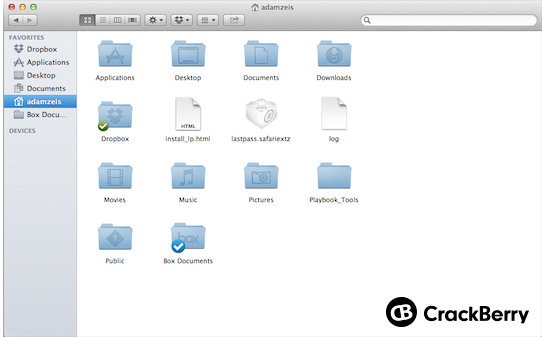 First, make sure the drivers from your BlackBerry 10 phone have been installed onto your Mac. So before you sideload any apps, you need to first connect your phone to your Mac, and follow through and allow it to install the drivers it wants to install. Unzip the files into your /user/ directory (The directory typically shows as your username - mine is "/adamzeis/". You can put them wherever you want, it's just easier this way). 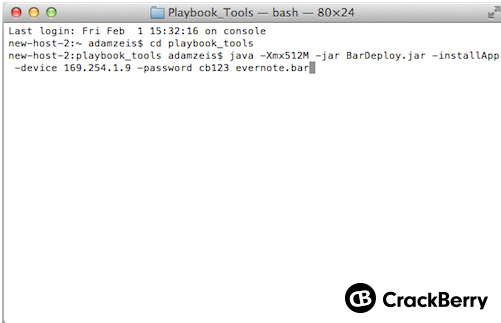 Move the files from the Playbook_Tools\lib\ folder to the Playbook_Tools directory. 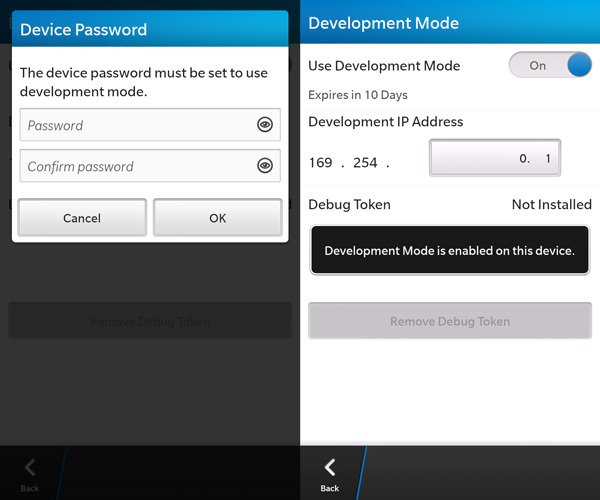 Put your BlackBerry 10 device into Developer Mode by going to Settings > Security and Privacy > Development Mode. Note the IP address of your device - you can change it if you'd like. You'll get a notification in the Hub when Development Mode is enabled. You'll also be required to enter a password here if you don't have one already. Don't forget your password!! Type the followin into Terminal: java -Xmx512M -jar BarDeploy.jar -installApp -device DEVICE_IP -password DEVICE_PASSWORD appname.bar Be sure to add in your device IP address, password and the name of the .bar file. 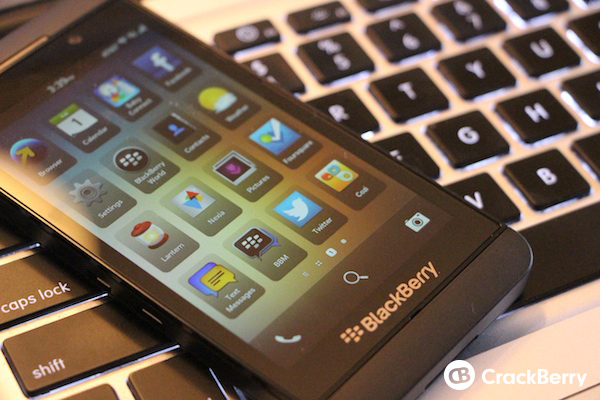 Terminal will do it's magic and when it's done, your app will be ready to roll on your BlackBerry 10 device. You can turn off both Development Mode and Password (Settings > Security and Privacy > Development Mode) unless you typically use a password. So that's all there is to it. As we said earlier, after the initial setup, loading up Android apps on your BlackBerry 10 device from your Mac takes just a few minutes. Head to the forums to track down some BAR files for these and more.